May buy 2 for yourself and 2 additional as gifts. Limit 1 voucher per group. Only valid Tuesday - Thursday. Must use entire value in 1 visit. Quantities are limited and may not be available again after the deal is sold out. Only valid at the Spanish Fork location. Does not include sales tax. Expires 4 months after purchase. See the terms that apply to all deals. Water Gardens Movie Theater is known for having friendly staff, a clean environment and for providing excellent value on tickets and concessions. 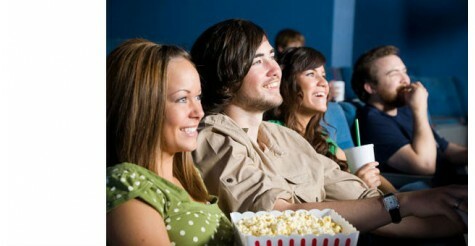 Click here to see the showtimes and movies available right now at Water Gardens. Water Gardens Movie Theater is a family-friendly movie theater located in Spanish Fork, UT. All tickets are $4 and concessions start at $1. The movie theater does not show R-rated movies and is closed on Sundays.